We are an online marketing and SEO agency with a huge list of high quality blogs with high DA and PA metrics for topics like health, insurance, business and so on. 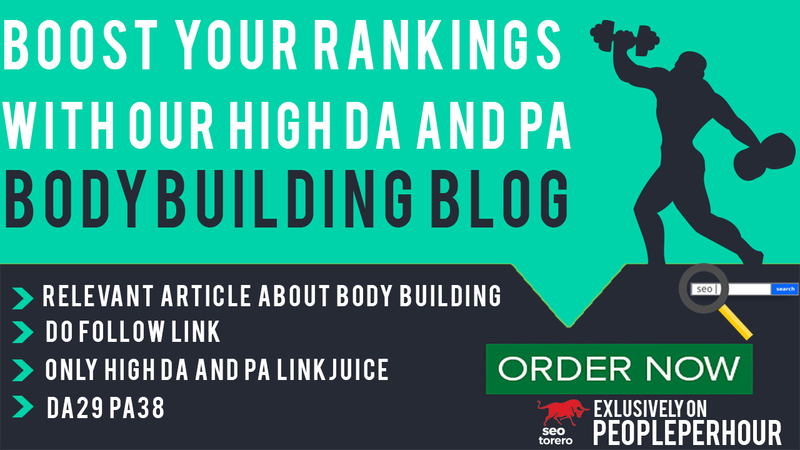 With that offer we can give strong quality backlinks from our body building blog with high DA and PA power. For any question don’t hestitate to contact us.